IS YOUR INTERNET GAMING APP BUSINESS IDEA LEGAL? SSJ understands the difficulties of our fast paced ever-changing world of technology. In order to engage in Gaming Apps, it is vital that your business comply with federal and state laws. SSJ can navigate you through the complexities of the laws and guide you through the process from beginning to completion. Before you invest too deeply into your proposed business, SSJ can provide you with a legal opinion on whether your concept complies with the law and also provide you with guidance on how to change your concept to ensure it is lawful. SSJ can also assist you with the transactional aspect of implementing and operating your business such as drafting and reviewing contracts with vendors, credit providers, and other third parties; non-disclosure agreements; and all other documents needed for your business. How Can You Tell If a Gaming App Is Legal? And Why Is It Important to Obtain a Legal Opinion? § State Gambling Laws – The legality of a concept will likely be determined by the forms of gambling that are allowed in a specific state. Each of the 50 states has its own set of laws and therefore it is important to obtain a specific opinion as to each state in which you intend to operate. § Federal Gambling Laws – There are also a multitude of federal laws that could prohibit your concept, and therefore it is important to obtain an opinion on whether your concept complies with federal laws in addition to specific state opinions. Violations of online gambling regulations can have serious civil and criminal consequences. An experienced Gaming Apps lawyer can help you understand how existing gambling laws impact your business. please contact us at 800-405-4222. The partners at SSJ have over 130 years of combined legal experience in obtaining, protecting and modifying licenses and permits in a wide variety of fields. We know how to navigate through the maze of administrative regulation and government bureaucracy, and we’ll guide you through the process. We understand that your license or permit is more than just a sheet of paper, it’s your livelihood. We can save you from all the red tape! Click here to see articles by or about Solomon, Saltsman & Jamieson regarding this practice area. 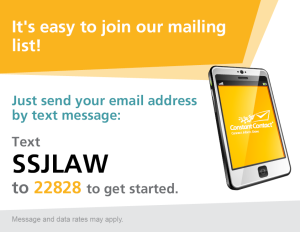 If you want to be represented by the best law firm for your case then do not hesitate and write us a mail!